The NDIS was developed for people with a permanent and significant disability which impacts on their daily activities. There are other eligibility criteria to access NDIS such as receiving the DSP. For more information on eligibility please use the NDIS Access Check List. Do I need to be registered with NDIS to work for Wangarang Industries? You do need to be registered with NDIS and have employment support as an item in your NDIS plan to join Wangarang Industries. 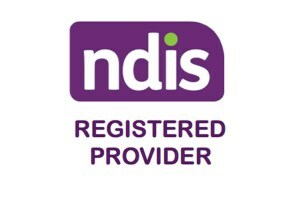 If you are registered with the NDIS but do not have employment support on your plan, please Contact Wangarang Industries or check NDIS website. For more information on working at Wangarang Industries, see our careers page. What Supports will Wangarang Industries provide under NDIS? Life Skills and Recreational programs. How can Wangarang Industries help? Wangarang Industries can provide you with information and support to help you access the NDIS and put you in contact with your local National Disability Insurance Agency (NDIA) office. Wangarang Industries can meet with you and explain the services we provide under the NDIS. Please contact Wangarang Industries if you would like more information. Once you are deemed eligible for the NDIS, the planning and assessment process will start. You will meet with a planner who will work with you to develop a plan of supports to help you achieve your goals.